Willow has been walking for ages now but it struck me the other day as I watched her stomping around, pinballing off every surface just what a little independent lady she has become. It’s funny because walking is such a ‘grown up’ thing to do but it makes her look even smaller in a way; our little doll totting around, exploring her world. More than any of the other milestones, sitting, crawling, sleeping through (oh wait, no that’s right we STILL haven’t hit that one) it was always walking that we couldn’t wait to get to. I think in our naivety we thought it would make life easier as she wouldn’t get as frustrated and be able to reach things and get to what she wants easier. Well, be careful for what you wish for! Here are my pros and cons of having a walker. The constant falls, bumping heads on tables and chairs, accident forms sent home from nursery every other day, banged teeth and grazed chins (especially when she tries to run – instant face plant). Nearly everything we own has been moved up to a higher level but there have been a few casualties: plants, candle holders, books and every day she can reach just that little bit higher standing on those tippy toes. One of her favourite games now is ‘putting things in the bath’ which to be honest I leave her to when I’m getting ready for work as it keeps her quiet. It’s always a nice surprise when you’re running late and your car keys and work pass find a new home isn’t it? The baby gates have really naffed her off and she tries daily to figure them out, testing them for weaknesses like the Velociraptors trying to escape in Jurassic Park. She has also become obsessed with the cupboard of doom under the kitchen sink which basically houses everything that could cause her serious injury. Now that she has been told in no uncertain terms that she is not allowed to go in there she sees it as a challenge and, when she’s not busy with the baby gates, will sneak off and try to access the forbidden cupboard. New house rule: if she’s gone quiet and you can’t hear those little stomps, then she is most definitely up to no good. Out of the house she can roam to her heart’s content. It’s so wonderful to follow her round the park or beach and let her set the pace and go here, there and everywhere at random, hovering in case she makes a bee line for a dog turd (everything is treasure to her). She also loves to dance on those leggies! Those little squats as she bobs along to the music at home, nursery, Aldi, the doctors when he’s trying to listen to her chest; this girl moves to her own beat. I love hearing from nursery how she’s walked to the library with them or been toddling round the garden exploring. It must be so much better for her than bum shuffling around or waiting for someone to move her. Walking has made her independence shine through. Quite often now she’s content to wander about and play on her own for a while, which in all honesty, is marvellous because some days I just don’t want to play tea parties for three hours but I do love to watch her make believe games and wonder what is going on in that beautiful little head of hers. 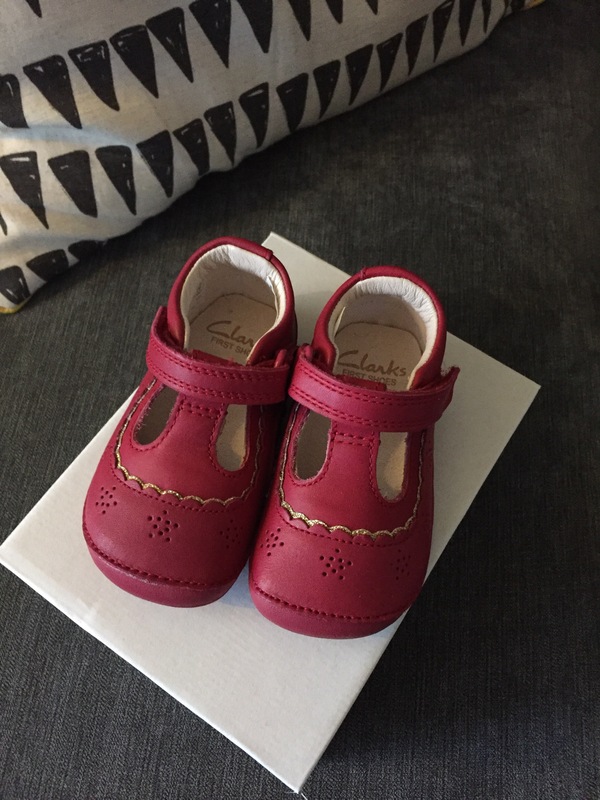 These shoes were made for walking…. Her little uncertain, toddling steps are just the start of her life’s adventures. Who knows where her feet will take her in this big wide world? (I can still remember mum’s face when I told her I was off to travel through Thailand and Cambodia by bus on my own – this is so going to happen to me when she’s older isn’t it?) So although every now and then I do feel a pang and want my tiny baby back, I can’t help but bust with pride at my little feisty, independent walking girl and feel excited for all the fun and adventures the future will bring her. Are there any particular milestones you have enjoyed reaching or marked in some way? Leave me a comment to let me know. Next Post Let’s talk about Flex!